Brexit and Your Passport Update! The unprecedented British exit from the EU has cause international uncertainty. The vote has also initiated passport questions, confusion, and reform. Stay in the loop and read about how these changes may affect your own passport possession! British citizens clambering for European Union citizenship have overwhelmed Ireland’s embassy (London) and post offices in Northern Ireland, with innumerable passport inquiries and requests for application forms. The rush has even been so extreme that post offices ran out of forms and the embassy fielded more than 4,000 passport enquiries (which is especially lofty when compared to the previous 200 per day average. It is worth noting that if somebody is raised in the Irish Republic or in Northern Ireland (or even with an Irish parent or grandparent), they are entitled to an Irish passport ! This population comprises about six million people living in Britain. All of these territorial changes affect those with imminent travel plans and the widespread nature of this reach should not be underestimated! In response to this chaos, the government has even been called upon to passport office in Belfast after post offices ran out of forms and were completely unable to fulfill orders. Similarly, Ireland’s embassy in Paris has also had a record number of requests, some reports suggest. Some British citizens are beginning to apply for Belgian passports as long-time residents of Belgium, while others are applying to the countries of their European citizen spouses. This uncontrolled rush for passports has undeniably overflowed into a similar Brussels office attempting to fulfill the hoards of requests. As it stands now, in London (where the population of 8.6 million), younger workers and citizens who largely voted for Britain to remain in the European Union were also thoughtfully considering their presented options. This entry was posted in Uncategorized on July 27, 2016 by Jesse. Thinking of Summer stays in Asia? If you weren’t, perhaps you should! So many breathtaking and under-traveled destinations in Asia have absolutely incredible weather in the months July and August so It’s not too late for last-minute adventurers to get on board! It is worth considering that throughout regions like South East Asia and the Indian Subcontinent, experience summer temperatures that can reach unbearable heights and the subsequent monsoon rains threaten to make your entire visit a soggy one. Luckily, there are some serious exceptions that will guarantee a most unforgettable adventure for you and any travel companions! Summer in Indonesia is the widely considered to be the best time of year to visit for a number of reasons, both in terms of weather and destinations for exploration! Consider Amankila, Amandari & Amanusa and discover tropical islands including Lombok and Moyo Island. Notably, central and eastern Sri Lanka share warm and sunny tropical weather in the current and coming month! Vacationers should know that a multitude of excellent resorts have opened up here in recent years! Additionally, Sri Lanka’s south coast is a primetime destination for mid-August! Northern India regions, like Ladakh, are absolute summer favorites and regularly enjoy uninterrupted sunshine, stunningly blue skies, and Himalayan mountains, brimming with ancient Buddhist temples. There, Shakti Village tours can provide an authentic taste of this unique Himalayan region of the world. Furthermore, Koh Samui in the Gulf of Thailand also enjoys similarly sunny and particularly dry weather during these summer months, unlike areas in the Andaman Sea, such as Phuket. A region less traveled, Vietnam, is also an undeniably great choice – while the south is mid-monsoon, Vietnam’s beaches provide endless sunshine! Finally, be sure to message us at ePassportPhoto to get quick guidance from our representatives! This entry was posted in Uncategorized on July 26, 2016 by Jesse. 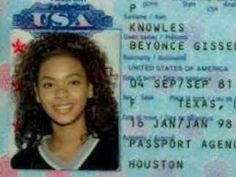 Okay, so maybe a flawless passport photo is not exactly what one of the most iconic, influential, and mind-altering-ly talented multi-instrumentalists of all time should be remembered for. With Prince’s tragic passing this year, an unexpected gem from the Prince catalogue seems to have been unearthed-no, It’s not a hidden or unreleased track. This stunning passport photo will put make you smile from ear to ear, but make sure you don’ t do that when taking your own! The background of Prince’s photo is solid-colored, white/off-white, which aligns perfectly with government-issued passport photo requirements. Be sure to follow this model in your own photo shoot, no matter how difficult! Prince has managed to leave his distracting jewelry and assorted costume ensembles at home for this one, a wise decision, as accessories such as the above will surely lead to passport photo rejection! 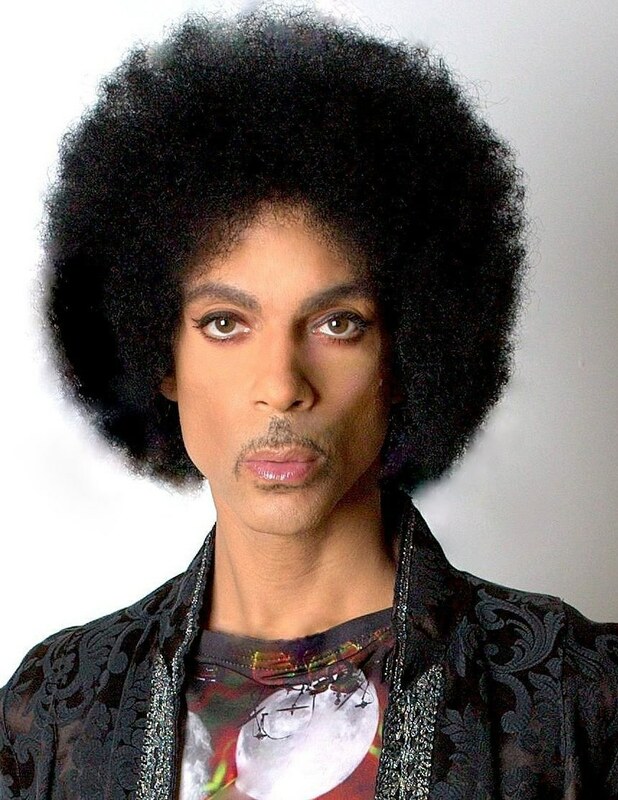 Prince is forward facing, closed-mouth, and his ears are visible (even if one is more obscured by his most glorious hairstyle). This makes for a clear, easily identifiable passport photo that can be linked to the individual presenting the document. After all, this is the fundamental goal of the passport photo-look like yourself! Lastly and quite obviously, this passport photo is crisp, hi-resolution, sharp in contrast, and appropriately colored. This doesn’t mean that you have to go high budget for your humble passport photo shoot, but you should absolutely make sure that these elements are all in order! Of course, this can be quite hard on your own, and let’s face it, travel plans means lots of distractions. There’s a way to take the stress out of this necessary step towards your getaway-Be sure to message amazingly prompt, helpful, and informed team at ePassportPhoto to get guidance on your own passport photos! This entry was posted in Uncategorized on July 25, 2016 by Jesse. Simple Don’t-Do’s for Your Pics! You may have seen guidelines for passport photo-friendly appearances. However, what might be a little less clear is equally important! Find out what not to wear, below! Although sorting out and getting psyched for your international travel plans is mostly exciting, your very first step after deciding to venture out of domestic realms, even before you purchase your tickets, is not so fun! At ePassportPhoto, it is understood that the easiest step in applying for a passport should be getting the passport photo, itself! However, the requirements are very particular and should be properly anticipates, so as to save yourself the headache of getting all the necessary paperwork together and being turned away from your appointment! 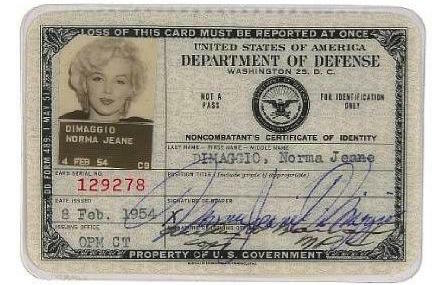 One cannot be photographed for a passport in any sort of uniform, including military or law enforcement. However, one exception to this stipulation is for diplomats or other officials who may get government approval to do so. Additionally, commercial employees, such as pilots or flight attendants, who wear their uniforms during travel, may get governmental approval. Items that are strictly prohibited include hats, scarves, or other headwear that completely covers one’s hairline. Of course, the exception is if it is part of your religious attire, like a turban or headscarf. However, even so, the subject’s face must be visible from hairline to chin and from the front of one ear to the front of the other. Sunglasses or tinted eyeglasses are similarly disallowed in passport photos. If you normally wear eyeglasses, you should feel free to wear them in the passport photo, just as long as the frames don’t obscure your eyes. If you have tinted lenses for medical reasons, It’s possible that you may have to provide a signed medical statement proving so. Contacts, or anything that make your irises appear larger or smaller than they truly are, are also recommended against. Lastly, you cannot wear anything temporary, such as Bluetooth devices, headphones, one-time facial decorations, or temporary tattoos. As you may already be aware, you’ll be photographed in front of a white background, so contrasting clothing is undoubtedly best. Keep in mind that immigration officials and others you may need help from while traveling can be notoriously humorless, due to the serious nature of their work! Be sure to use a neutral facial expression in your passport photo to take this facet of your photo experience into account! Would you like to be sure that you’ve complied with the above? This entry was posted in Uncategorized on July 24, 2016 by Jesse. 7 Steps for Passport Photo Success! You’ve got a lot to keep on your mind while traveling. Flight arrangements, booking stays, and dealing with business plans can be enough of a headache. Why stress about the little things, like getting your passport photos in order?ePassportPhoto is here to take the load off! Before getting started with the passport photo taking process, save yourself some time by creating a checklist. Does your photo session allow you to meet the following requirements for your two passport photos? This entry was posted in Uncategorized on July 23, 2016 by Jesse. Hold Your Horses-And Your Passports! Owe back taxes and fearing the loss of your passport? Fear not, fearful passport-holders! You may have more time than initially thought! In 2015, Congress enacted a law that would revoke passports of American citizens who owe $50,000 or more in back taxes, and that includes penalties and interest! However, somehow, about six months after that government provision took effect on January 1st, there are absolutely no reports of enforcement so far. So what’s the deal-was this an empty threat? A bluff being “called” by American tax outlaws? The reason for the delay in penalization is likely due to the fact that no regulations detailing the logistical elements of this passport take-back. At this time, the IRS and State Department are working to write such regulations. As you might imagine, the passport provision is of special concern to Americans living abroad, due to the frequent use of their passports for routine activities of daily life, such as banking or registering children for school. Additionally, and perhaps most seriously, they also may not receive notices mailed by the IRS. Due to the severity of these repercussions, regulations are expected to build in a lot of leeway. In general, more Americans are disclosing foreign accounts and in 2015, alone, more than 1.1 million people filed annual reports which disclosed these foreign accounts. The State Department has estimated that nearly seven million Americans live abroad, currently. The IRS’s filing deadline for U.S. taxpayers living abroad is June 15 and as with the April due date for stateside filers, these individuals can ask for an extension until Oct. 17 simply by submitting a form. Of course, this does not apply to back taxes owed, so be aware of that! This entry was posted in Uncategorized on July 22, 2016 by Jesse. Take your passport photos in celeb style! Just what did these special someones do right in getting their mugs on that government-issued document? Beyonce’s head is most perfectly centered! Finally, be sure to message us at ePassportPhoto to get quick guidance from our representatives! We’ll help you look like the above in no time! This entry was posted in Uncategorized on July 21, 2016 by Jesse. How does the infamous British exit from the European Union affect travel? The U.K. passport is and was considered one of the most powerful and flexible in the world, one that gives passport holders a huge amount of international mobility and travel capabilities. Now that the U.K. has declared plans to leave the European Union in about two years, British citizens’ automatic right to travel through 27 other EU countries is seriously in jeopardy. The fate of these anxious travelers is currently uncertain. What is known, however, is that these possible restrictions that may be placed on British travelers would be totally dependent on negotiations between London and Brussels. The worst imaginable outcome is that these states could require Brits to apply for visitor visas, which would surely inconvenience individuals who are unprepared for this rather sticky situation. Currently, U.K. passport holders are currently able to visit 157 countries without a visa, which is second only to the immense power and travel-capabilities of the German passport. “An unnecessary surge in applications for Irish passports will place significant pressure on the system and on turnaround times and is likely to impact those with a genuine need for passports to facilitate imminent travel plans,” he cautioned. For more information on all passport news and needs, sure to message us at ePassportPhoto to get quick guidance from our representatives! Visby is an incredibly historic town in the remote Gotland island of Sweden, a seriously hidden gem for adventurers in this corner of the world. For one week every year, this port becomes a real time warp during Medeltidsveckan, the world’s largest festival celebrating the Middle Ages! Travelers flock to the cobbled streets inside Visby’s ancient town walls to marvel at the spectacles of jousting, banqueting and all things medieval in style. Markets, crafts, re-enactments, music and storytelling line the town’s historic streets! With an average of 40,000 visitors, be sure of securing a place at this once in a lifetime event! The waters of the Okavango River lead to the world’s most famous inland delta, which is a largely under-visited destination with a whole lot to offer. Here, the crisp water from the Angolan highlands evaporate in the sweltering African sun and into the sands of the Kalahari. This activity brings explosive life to the delta, as flora erupts and many iconic African animals migrate here by the thousands. Waters in the area are at their absolute highest points and although blue skies and pleasant temperatures are present in August, the beauty doesn’t stop there. Travel the delta via canoe, venture further to find epic wildlife sightings in modern powerboats, and have yourself an absolutely unforgettable trip. Western Australia is absolutely prime whale-watching territory, with an estimated 30,000 humpback whales migrating along this coast every year. Now, visitors to Ningaloo will have the opportunity to swim with these majestic giants as part of a government-backed initiative! This unbelievably breath-taking region is a hot spot for exciting marine life like manta rays, dolphins, turtles, and even whale sharks! In the hear of South America, the Pantanal is the largest floodplain in the world and its vast wetlands are home to an incredible variety of exciting flora and fauna. In the dry season, when the waters recede one can venture deeper into the wilderness and August is the prime time to see these wild animals in their stunning natural habitats! Got a taste for Jaguar spotting-look no further! Got big travel plans that involve you leaving the United States? Need to get where you’re going, and fast? As I’m sure you know by now, you’ll surely need a passport to do so! Fear not, weary travelers, for you are not in this alone! What may be slipping your mind is that you will be required to submit two 2-inch-by-2-inch photos for proof of identification. Don’t let this element of your travel plans slow you down! There’s plenty of resources to help you get there, but not all will be right for you! Many companies include wildly unnecessary charges and fees to take advantage of the often chaotic/frantic circumstances of the average traveler, especially those dealing with lengthy plane flights! These two required photos must include the subject against a light-colored background and cropped to the United States passport agency’s guidelines. This entry was posted in Uncategorized on July 19, 2016 by Jesse. When to Apply for Your Passport! Are you thinking that you don’t need to apply for a new passport until your existing one is on the verge of expiring? Think again! The State Department has just advised travelers whose passports expire any time in 2016 or 2017 to get started on that whole process, as there’s soon to be a massive and easily predictable backlog in passport renewal requests and procedures. The source of this serious surge in passport-seekers? The REAL ID act, which requires travelers from several U.S. territories and states to use a passport for domestic flights is a huge, contributing factor. Western Hemisphere Travel Initiative, resulting in the enormous number of citizens who signed up for a passport in 2006 or 2007. According to the many statistics from the State Department on the matter, which were released in 2014, a mere 46 percent of Americans hold valid passports. This means that there’s certainly a wave of passport interest coming down the pike, as this number is astonishingly low for a well-traveled population. Even is half of those currently without passports consider signing up for one before October 10, (when Federal agencies will no longer accept their driver’s licenses) that’s somewhere in the ballpark of 87 million potential applicants—this estimate is without considering how many people will be up for passport renewal! Get your paperwork taken care of before March arrives, as it’s the busiest month for passport renewal, according to data from the U.S. Department of State! This entry was posted in Uncategorized on July 14, 2016 by Jesse. As of 2016, a new regulatory procedure means that travelers from four U.S. states will no longer be able to use their driver’s licenses as valid identification to board domestic flights. Obviously, this marks a significant development, considering the fact that somewhere in the ballpark of 62 percent of Americans don’t have passports! So just which states are being affected? New York, Louisiana, Minnesota, New Hampshire, and American Samoa are considered “noncompliant” with the security standards outlined in the Real ID Act, which was put in place all the way back in 2005 (but is being implemented in stages). In these five places, getting a license doesn’t require proof of citizenship or residency, which is a serious concern to The Department of Homeland Security, and increasingly so. When and if the regulation goes through, there will be a three month forgiveness/grace period, during which individuals with these licenses will be warned that their IDs will no longer be valid. A recent update to this plan clarified that New Yorkers will not have to confront this change until later (2017?) than the other aforementioned states! Keep in mind that for families from these states, at least children under 18 years old do not need ID when traveling with a companion! This entry was posted in Uncategorized on July 13, 2016 by Jesse. Wondering how the British exit from the European Union will affect your upcoming travel plans? You’re not alone! Now that Britain is leaving the EU, as a result of the famous/infamous “Brexit” vote, many new arrangements will have to be made in the way of air service if British airlines are to continue operate freely all over the European Union. Additionally, many Irish airlines, like Ryanair, or German airlines like German Wings, will rely on this resolution if they are to continue to fly in and out of the UK without restrictions. The British pound has dipped and risen in value against the euro and the US dollar in recent weeks, as the Brexit dust settles and the nation finds its place in the western world. One investment bank giant, Goldman Sachs, predicted that a vote to leave the EU could hit sterling by as much as 20 per cent, with the pound dipping as low as $1.15 against the dollar and €1.05 against the euro. Only time will tell how accurate these predictions are. Now the incredibly high rates of compensation that passengers are entitled to (under the EU directive on flight delays/cancellations) are sealed under UK law. Undoubtedly, British airlines will lobby relentlessly to reduce these measures in the upcoming years. Nevertheless, flights in and out of European Union countries and on EU airlines will still be governed by the directive, although one may have a much harder time claiming compensation due to this fact and as a result, travelers might have to go to court in another country to be awarded access to those funds. However, the more extreme predictions and projections that passengers would end up with a serious lack of compensation, or lose their entitlements to food, drink, and overnight accommodation in the event of long delays, seem to be unlikely. This entry was posted in Uncategorized on July 12, 2016 by Jesse. Pay Those Taxes! Keep Your Passport! Let’s start with the obvious-if you have back taxes, you should pay them! Of course, not everyone who owes taxes is a crook-People are capable of making mistakes, and as many Americans know all too well, the U.S. tax code is so complicated that errors can easily occur, despite even the best of intentions. That’s why some folks are a bit troubled by a provision buried within a transportation bill passed by Congress in late 2015! The law is called “Revocation or Denial of Passport in Case of Certain Tax Delinquencies,” a name as friendly as the changes it poses. This piece of legislation came about as a way to give the IRS yet another tool in its widespread and endless efforts to collect unpaid taxes and fines owed to the U.S. government. Now, owing taxes has been added to the list. Approximately 224,000 people with U.S. passports owed the IRS an estimated whopping $5.8 billion in taxes and other penalties. The above law attempts to put pressure on those individuals to simply pay up, or face the restrictive consequences. The new provision is expected to recover an estimated $398 million over the course of 10 years, (according to the Joint Committee on Taxation). Whether stateside or out of the country, the law applies to any and all U.S. citizens. If you are currently in the United States, beware that you could lose your passport and as a result, be prevented from traveling abroad until the taxes and penalties are paid. If you happen to be living and working abroad, the penalties could be much worse! This extremely threatening and swiftly-enacted law could prevent you from traveling to any country that requires a passport or even from conducting any business abroad that requires a passport. And even if you don’t want to venture outside of your country of residence, as an American abroad you often need your passport for other activities. These activities can even include opening a bank account, reserving a hotel room, purchasing alcohol, or even registering your child for school. Stay on the safe side and do the right thing-Pay those taxes and travel often! This entry was posted in Uncategorized on July 11, 2016 by Jesse. Quick Tips to Save You Time at The Airport! There’s nothing worse than running late for an important flight, only to end up stuck in a security line bottleneck behind the couple fumbling with the their shoelaces, the first-time flyer, etc… Check out the following quick tips and make it through your airport security line faster and easier! Have The Necessary Materials Ready! You may be used to keeping track of your driver’s license in your everyday life, but there is something about the chaos and stress of the airport that often results in losing sight of important documents, or even boarding passes and passports. Your items can easily end up at the bottom of a purse, jacket pocket, or luggage. Why the fuss? As soon as you enter the security line, make sure that have your boarding pass and ID at the ready. A handy passport holder/case can help keep the important items separate and thus, their locations will be more apparent in even the most time-sensitive circumstances! An apparently short line doesn’t always mean that it will turn out to be a fast line. Make sure to know the tricks for your airport, specifically! Busy hours? Some airline terminals more crowded than others? Do the research to save the time! Here’s another quick tip: aim for the far left or far right scanner lanes. As it stands, most casual and newbie travelers walk straight ahead and end up waiting longer in line as a result. This entry was posted in Uncategorized on July 10, 2016 by Jesse. Want more information on the leading service for all your passport photo needs? The company’s primary goal has been to put an end to the passport photo rip-off, which obviously floods an ever-expanding market. ePassportPhoto.com has been doing so by revolutionizing the passport photo business, saving you time and money on the way. It shouldn’t be so difficult to obtain a compliant set of passport photos and for over a decade, ePassportPhoto has been driven by this idea. The system currently supports the exact government requirements of over 60 countries from around the globe, from Albania to Zimbabwe (and many in between, such as Australia, France, Japan and Germany). If you’re a citizen of China living in Canada or a citizen of the UK living in the US, ePassportPhoto.com will help you create passport photos that comply with the requirements of your home country, in no time! The outstanding and responsive team background includes dozens of years of managerial, technical and operational experience from Fortune 500, Alexa 100 and garage startups! Our professional order processing team has gained unparalleled passport photos compliance experience – being the largest passport photos shop in the world! ePassportPhoto is proud to serve millions of users from 200 different countries. This entry was posted in Uncategorized on July 9, 2016 by Jesse. Looking for culturally enriched, breathtaking European cities for your summer getaway? The country produces some of the finest wine in the world and of course, you’ll often get served free tapas with your drinks (not too bad of a cultural tradition). As for its iconic gastronomy, the country is home to mouth-watering dishes and some of the world’s greatest culinary establishments. Think flamenco, bull-fighting and adrenaline-laden parties! But know that sometimes, simply watching the world go by, over a cup of unparalleled coffee, in a historic city center what Spain does best. Granada, which means pomegranate in Spanish, has a totally unique mixture of Muslim and Spanish culture. Home to the grand Alhambra Palace, the city is blessed with the snow-capped Sierra Nevada mountain range, Europe’s most southern ski destination. Even better, Granada is one of the handful of Spanish cities that still offer free tapas! Looking for Romance? Be sure to watch the sunset from the Mirador de San Nicolas in the Albaicin Quarter for an absolutely breathtaking view of the Alhambra Palace. The Galician capital is the final destination for millions of pilgrims completing the iconic Camino de Santiago each year. You don’t have to walk 550 miles along this ancient Christian pilgrimage to visit this unbelievable city. Santiago, a labyrinth of cobble stone streets laden with gothic buildings galore, is also home to legendary tapas bars. A night time stroll here is strongly recommended, as the medieval streets will transport you to another era after dark!. You should be made aware that “Galician-style octopus” goes down perfectly with the local Albariño wine. This absolutely stunning and sun-bathed Cadiz is one of Andalucía’s hidden jewels. The city hides behind its old city walls that is certainly under the tourist radar – which is exactly why you should visit this national treasure. Here, you can find many open squares, promenades and countless back streets that are eagerly waiting to be explored. Cadiz also provides beaches and plenty of tantalizing seafood. Be sure to climb the Torre Tavira if you’re feeling adventurous! Madrid is known as the Spanish city that never sleeps, thanks to its undeniably vibrant nightlife. Sundown signals the start of a race to stay up and party until one simply can’t party anymore. Brimming with historical monuments, museums, parks and more cafes and bars than you can hit in one trip, Madrid has it all. Explore Plaza Mayor, the beautifully kept Retiro Park, the Egyptian Temple of Debod, or Puerta del Sol. Don’t miss Casa Botín, the world’s oldest continuously-running restaurant, or the indoor food market, Mercado de San Miguel, to fill up! Famous for its iconic architecture, museums, and squares, Spain’s city is vibrant, bustling and fun. Enjoy the Mediterranean beach, where you can easily escape the heat of bustling city life. The heart of Barcelona is the popular avenue La Rambla, filled with restaurants, shops and wild street entertainers. Nearby, you’ll pass the medieval Gothic Quarter, with its centuries old buildings, narrow streets, and palm-tree filled plazas. However, no visit to this 2,000 year old city would be complete without seeing the La Sagrada Familia Cathedral, which is not expected to be completed until 2041. This entry was posted in Uncategorized on July 8, 2016 by Jesse. England, undeniably one of the most visited countries in the world, offers travelers seemingly endless possibilities for travel, exploration, and relaxation! This small but incredibly influential territory is absolutely brimming with history, breathtaking cities, and innumerable cultural traditions. England is also extremely easy to get around, and whether you’re traveling the country by car or by public transportation, you’re guaranteed an absolutely unforgettable experience. Incredible, historic sites are sure to be found at every turn, from castles lining the picturesque countryside, to colleges from the Middle Ages, to ancient Roman sites and centuries old palaces. The iconic Stonehenge, just 10 mi north of Salisbury is undoubtedly Britain’s most famous ancient monument and consequently, one of its most popular tourist attractions. The “hanging stones,” which cover 8 square miles, were placed here from 3000-1500 BC. The Bronze Age circular structures visible today were in use until the Roman era, when they were destroyed to prevent cults like the Druids from influencing the greater population. An excellent center for visitors is home to informative exhibitions, and even a shop and café. Although Yorkshire is divided into four “ridings” – North, South, West and East, the habit of referring to the county by its traditional name runs so deep in the country, that most travelers have begun to do the same. Traditional Yorkshire encompasses some of the most beautiful and historically remarkable cities in England, including Durham and York, which is also a great base from which to explore the countryside! Palace, prison, treasure, and observatory – the Tower of London seriously has it all. The structure is commonly considered the most important building in England and there’s certainly enough to see and do at this World Heritage Site to keep visitors busy for hours. The centerpiece is the astounding White Tower, built in 1078 by William the Conqueror and home to amazing exhibits such as Line of Kings (1652). Check out the remarkable displays of royal armor, the Crown Jewels exhibition, the Royal Mint, and some more morbid displays of historic prisoners and executions. The Tower of London covers about 18 acres, so there’s definitely a lot of exploring to do! For whatever reason, If you only have time to visit one small city in England, consider the breathtaking and historically rich town of Bath. This remarkable city holds more fantastic tourist attractions than you could hope to visit in a day. While most famous for the magnificent 2,000-year-old Roman Baths, built around the city’s rejuvenating hot springs, it’s just as well known for its townhouses (such as those on Royal Crescent). The entire city has even been granted World Heritage status. This unbelievable town of Bath makes an ideal location from which to explore England’s most stunning countryside! The renowned Windsor Castle has served as the holiday destination of British royalty since William the Conqueror built the first fortress here in 1078. As the largest inhabited castle in the world, Windsor is built around two fantastic courtyards and the entrance fees even include admission to The State Apartments. Of course, no visit to a royal palace would be complete without observing the spectacle that is the Changing the Guard in the Castle Precincts. This entry was posted in Uncategorized on July 7, 2016 by Jesse. In Europe, July is primetime to vacation: This, of course, corresponds to the preferable climatic conditions for this part of the world, in general, during the summer months. This is fantastic news for travelers, but it also results in an undeniable price increase for travel fare. For those who seek sunshine, the south, with its breathtaking beaches, will certainly satisfy the need! Of course, the summer weather generally graces the entirety of the continent, making July travel especially pleasant, even in the northern areas. This time is particularly ideal to visit Iceland, where the temperatures vary between 8°C at night and 15°C during the daytime (which, at this time of year, is steadily increasing to 20 hours! Consider Peru and Bolivia as tantalizing destinations during July, as by this time of year, the rains have stopped, giving way to breathtaking sunny days! Of course, It is definitely the right time to visit the National Parks in the USA, such as Yosemite, where adventurers can climb, even to high altitudes, without expecting extremely cold temperatures. In Asia, Indonesia stands out as a prime destination for July, as It’s unique equatorial climate is balanced by pleasant sea breezes. Despite some light rain during the evenings and nights, there’s lots of Indonesian sunshine during the month. Additionally, temperatures are generally between 25 and 30°C. Be wary, insular travelers, as it is this time that the tourist season is in full swing! One should certainly expect company! African territories could be a fantastic choice for July travel, as temperatures are still relatively mild and depending on the exact destination, even a little cool at night! Madagascar, for example, where the dry season continues with an average daytime temperature of 28°C and 15°C at night, is an ideal option for adventurous travelers. For Northern Africa adventures, Morocco is beautiful in this select time of year and weather! This entry was posted in Uncategorized on July 6, 2016 by Jesse. Looking to travel without the spending? Here’s a couple of tips to save you the most! While many plan all aspects of travel separately, sites like Groupon can make bundle travel packages a breeze! Be sure to do some online searching prior to planning your getaway! This method will make your travels hassle-free, easy to coordinate, and most importantly, cost-effective. 1. Be flexible about your particular days of travel. Some sources cite Tuesday, Wednesday and Saturday as prime days for purchasing airfare. regardless of your travel situation, flexibility with both your departure and return dates can save you big bucks, fast. If your work schedule doesn’t allow you to be flexible, the next best thing you can do is shop for flights simply based on when prices are most affordable (Tuesday at 3 p.m. is the best time to look for a deal on flights). 2. Request relevant airfare alerts. With the frequency and efficiency of commercial airline travel, many online resources have arisen to make the process easy and affordable. Fares sell out quickly, and you’ll miss such select deals if you don’t act fast. Be sure to subscribe to each mailing list, or set up Twitter/social media notifications to get an alert when they share a deal. 3. Make use of your time, even your layover! Everybody knows that flights with layovers can be inconvenient, which is part of the reason why they generally cost less money than direct flights. If you’re able, choose a flight that has a long layover at a place you want to visit to turn a pit stop into another quick trip! You can also choose flights with layovers at your particular destination, which may be cheaper than taking a regular flight to the same location! Sites like Skiplagged can help you compare flights with layovers where you need to go. 4. Got friends or family in the area? Stay as a guest! Airfare aside, accommodations can certainly make a trip pricey. Hostels can help here! Sleeping in a bunk bed with strangers may sound like a stretch but some hostels absolutely offer single rooms! How about traveling to locations where you have family or friends! If you’re the adventurous type, you can even use a site like Couchsurfing to find a local to stay with, free of charge! Dining out throughout an entire trip will set you back and restrict the remainder of your visit. Head to a local market to pick up food that you can prepare deliciously and easily for yourself. Additionally, be sure to look for travel packages that include food or, at least a meal. If you want to enjoy international dining, do it during lunch, when meals tend to be less expensive. 7. Use group affiliations for discounts. Do you have employee benefits racking up? Other club or group memberships? See if they include travel perks like airfare, vehicle transportation, etc…If you’re a student, be sure to use your student ID for transportation discounts! 8. Cash in on credit card rewards points. Some credit card introductory promotions include points that you can use in your travel plans! Of course, you should avoid going into debt for the sake of traveling, but if you use a credit card responsibly, points are certainly an opportunity to save. This entry was posted in Uncategorized on July 5, 2016 by Jesse. In late 1914, Secretary of State William Jennings Bryan issued an order requiring two unmounted photographs (no larger than three inches by three inches) to be submitted with passport applications – one was required to be attached to the application, while the second was intended to be put on the passport. Citizens who had been issued passports without photographs were required to have a photograph added, so as to meet the changing governmental requirements. Photographs were introduced at this time to make the passport a more accurate personal identification document. This change, which was implemented with the idea of use during wartime, the passport photo brought with it an increased concern to make the document more secure. Less than a month after adding this photograph requirement to passports, the U.S. State Department responded to this new practice with methods to ensure that the correct photograph was connected to the correct document. Workers at local courthouses were instructed to attach photographs to the application with a notable seal in order to avoid subsequent substitution of the photograph prior to obtaining a passport. Soon thereafter, officials stamped their seal of their office over the top left corner of the photograph when they attached it to the passport document, instead of the initial practice of simply pasting it. This was a new, concerted effort to secure and legitimize the passport as a secure and reliable form of identification. The State Department also clarified its policy to ensure that all passports carried a photograph of the passport bearer. The secretary of state decided that passport applicants had to provide a photograph regardless of religious beliefs (in response to an applicant intending to travel abroad as a missionary, who had quoted Exodus against the concept of such a method of photography). At the decade’s close, the State Department issued a requirement that even infants had to have a photograph on a passport document. Next, increasingly specific requirements arose: a light-colored background, thin paper, and dimensions between 2.5 inches by 2.5 inches and 3 inches by 3 inches. 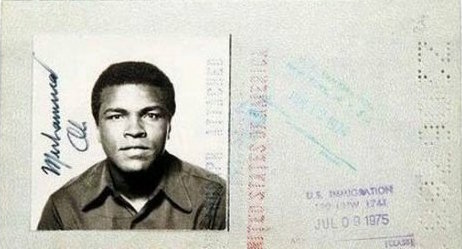 As an added measure of security, the U.S. State Department began to use a machine that perforated a legend across the lower part of the photograph after it was attached to a passport. This made it more troublesome for someone to seamlessly remove the photograph, and it was considered to be more difficult to replicate than the original rubber stamp. The passport photograph was considered to be an entirely truthful image that could be used to reliably link a person to a passport and thus accurately establish and individual’s identity. The promise to deliver accurate identification was met by the ever-evolving camera, which is still serving It’s same function, today! For all of your passport photo needs in this modern age, be sure to find us at ePassportPhoto to get quick guidance from our representatives! This entry was posted in Uncategorized on July 4, 2016 by Jesse.